Are You Often Away From Your Office? Did you know you can have your voice mail messages forwarded to your email as a .wav file so you could listen to the calls from your smartphone? If you travel or are away from your office, it may be convenient to request that the voice mail messages left on your office phone be sent to your email so you don’t have to call the voice mail system and check for possible messages being left. 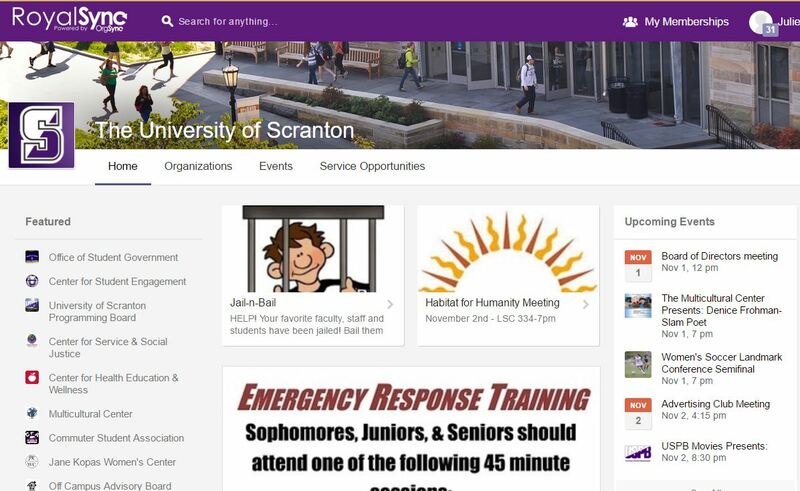 You can request this service by emailing techsupport@scranton.edu. Be sure to include your mailbox number (your personal office phone number). Posted in Computer Tools and tagged email, phone, phone messages, smart phone, voicemail. Bookmark the permalink. We recently announced the appointment of Susan Bowen as CIO of The University of Scranton. In her new role, Susan is responsible for the leadership and management of the strategic use of technology in support of the University’s mission and goals. We met with Susan to say hello, and gain insights in how she believes technology impacts student learning and our University. We would like to thank the students from the Department of Communication, Lauren Archibald ’18, Brian Lloyd ’18 and Daniel Valentino ’17, along with their professor John Kilker, III for the production of this video. Malware, short for malicious software, is any software used to disrupt computer operation, gather sensitive information or gain access to private computer systems. Malware may be stealthy, intended to steal your information or spy on your computer for an extended period without your knowledge. As part of its commitment to securing the campus computing environment and protecting University assets and data, Information Resources has licensed Malwarebytes Breach Remediation for all University owned PCs. Please note that Malwarebytes does not prevent malware from being installed on your computer. Utilizing this tool regularly is part of a set of safe computing practices, which continues to be most effective way to safeguard computers and data from malicious attacks. Regularly running Malwarebytes to scan for malware is highly recommended, certainly if you notice that your computer’s performance is sluggish or you suspect that your computer’s security has been compromised. Review the Malwarebytes instructions to run the program on your University computer. The Malwarebytes Breach Remediation Tool is available on all faculty and staff Windows-based computers. IT Services is exploring the feasibility of extending the tool to the Macintosh platform. Posted in Computer Tools, Security and tagged malware, virus scan. Bookmark the permalink. Computers for full-time faculty are being deployed and our goal is to have them completed before the end of the Fall semester. Staff systems will follow in the Spring. This year, we introduced a major change to the replacement cycle for faculty primary systems. Full-time faculty are now on an automatic four year replacement cycle, which allows IT to be inclusive and attentive to all our full-time faculty’s needs. We would like to remind everyone that due to the high costs of maintaining and replacing desktop equipment, each employee should only have ONE system. Budget forms for computer requests for FY17/18 will be sent to department heads at the end of January. Posted in IT News and tagged computer FY, PC. Bookmark the permalink. OrgSync, rebranded as RoyalSync at the University, is a campus engagement tool that connects our students to organizations, programs and departments on campus in a private online community. As a member of a club, class or program, students are able to stay informed of campus activities, register for events, swipe to confirm their event attendance and fill out online forms. New student accounts are created at the beginning of each academic term. Incoming students are placed in their anticipated graduation class portal, so that they may start networking with their fellow classmates immediately. Student engagement has historically been associated with student achievement and retention so beginning with the class of 2021, new accounts will be created prior to summer orientation. Shannon Murphy Fennie, Director of the Center of Student Engagement and Tricia Cummings, Coordinator for Clubs and Organizations, are hoping to engage incoming students early on. Not only can those students stay informed about orientation, clubs and activities early in the process, but will have a more positive experience as they assimilate into campus life. Although our campus has been using RoyalSync for a few years, we have recently completed the implementation of the RoyalSync Application Programming Interface (API). The OrgSync API allows us to request and exchange data. 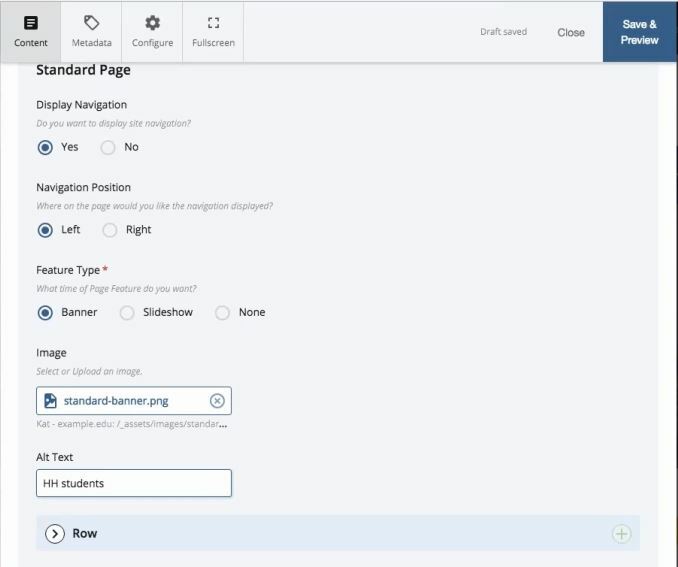 Thanks to this improvement and collaborative effort between our Information Resources and Student Formation and Campus Life Divisions, we can now push student data from Banner into RoyalSync. This automated process is secure and occurs every night, so that we can keep the information in RoyalSync as accurate as possible. Data can also be pulled out of the program to more accurately build alumni profiles. How do we benefit from this improvement? OrgSync continuously strives to improve their services and driving student engagement to the next level. As such, our campus continues to investigate the ways in which we can apply their tools to create more efficient workflows and procedures. Because this tool harvests a lot of data concerning student involvement, we anticipate the development of reports that could be used for job searches and assessment. Although RoyalSync is almost exclusively used by our students, faculty and staff still have the ability to access and peruse it. Welcome to Royal Sync. Feel free to browse around. Posted in Computer Tools, IT News and tagged API, Business Process Improvement, OrgSync, RoyalSync. Bookmark the permalink. Do you know how important your data is? Have you thought about where it is stored? What would you do if your data was lost? 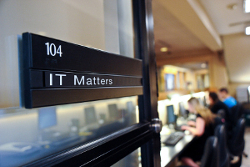 Data is one of the University’s most valuable assets. Because the majority of our employees rely on this information to conduct their day-to-day operations, we must learn to properly handle and secure it. As members of the University community, we have the responsibility to safeguard the information we process, which means that we need to familiarize ourselves with how data gets classified, stored and shared. How Does Data Get Lost? What is the Impact of Data Loss? The repercussions vary but could include loss of University reputation, loss of funding for the University, fines, long-term loss of critical campus or departmental service, and identity theft. Restricted data is the most important or sensitive type of information. This information is regulated by law, such as HIPAA, and/or governed by other federal, state or local law, or University policy. Examples: Social security numbers, driver license numbers, passwords, bank account numbers and credit card information. Storage: Restricted information in electronic records should be secured with strong encryption when stored outside the central University administrative database. Restricted information in all forms of physical records must either be security locked or actively supervised in a private environment at all times. Confidential information, while not being overtly damaging to the user, can be potentially embarrassing to the University. It may contain records or information on events or activities that can be misinterpreted by people unfamiliar with those activities. Examples: Grades, class lists, financial aid information, donor records, tuition bills, employee performance reviews, disability claims and department budget information. Storage: Confidential information shall be stored in physical or electronic environments where access is limited to only those who need to conduct University business. 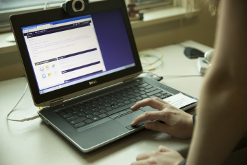 Transmission: Confidential information may be transmitted over the University or external networks as required, but only with those who need to use the information. Public use information can be released without much concern for security. Examples: Campus maps, event and class schedules, press releases and athletic scores and schedules. If you have any questions regarding data classification, handling and storage, contact the Information Security Office at 570-941-4226 or email mailto:infosec@scranton.edu. Posted in Security and tagged data, Information Classification, policies. Bookmark the permalink.